Interests… gossiping. Anna barely has any free time, but she enjoys chit-chatting with the other maids when she does get a break. Downton is a hotspot for eligible bachelors, so there is always a topic to discuss. Relationship Status… single, but she is quite intrigued by Mr. Bates. Lord Grantham’s new valet is kind, courteous, and upstanding. The rest of the staff have a hard time seeing past his limp and dismiss him as a burden, but Anna greatly admires his character and tries to make him feel more welcome at Downton. Challenge… keeping Mary’s secret. 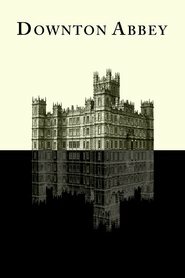 An unfortunate accident occurs when Turkish diplomat Kemal Pamuk comes to Downton and Anna has to help cover it up. The reputation of the eldest Crawley daughter depends on the utmost discretion and Anna isn’t about to let her lady down. Personality… warm and hard-working. Anna is perhaps the kindest member of the Downton staff. She always looks out for the others, offering advice and words of comfort whenever they are needed. Life at Downton can seem rather bleak at times, but things are always brighter when Anna is around. Anna Smith's popularity ranking on CharacTour is #1284 out of 5,000+ characters. See our top-ranked characters and read their profiles.